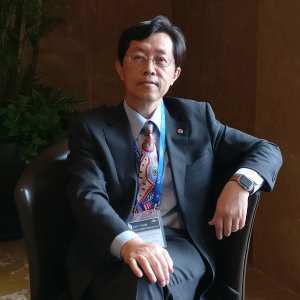 Professor Wang's research interests are focused on cyber-physical systems, cloud manufacturing, predictive maintenance, real-time monitoring and control, human-robot collaborations, adaptive and sustainable manufacturing systems, which can be termed as Smart Cybernetic Manufacturing. Lihui Wang is a Professor and Chair of Sustainable Manufacturing at KTH Royal Institute of Technology, Sweden. Professor Wang is actively engaged in various professional activities. He is the Editor-in-Chief of International Journal of Manufacturing Research, Editor-in-Chief of Robotics and Computer-Integrated Manufacturing, Editor of Journal of Intelligent Manufacturing, Associate Editor of Journal of Manufacturing Systems and International Journal of Production Research. He has published 8 books and authored in excess of 400 scientific publications. Professor Wang is a Fellow of CIRP (International Academy for Production Engineering), SME (Society of Manufacturing Engineers) and ASME (American Society of Mechanical Engineers), and a Board Director of North American Manufacturing Research Institution of SME, USA. Smart cybernetic manufacturing aims for flexible and adaptive manufacturing operations locally or globally by using integrated technologies that can combine the advanced computing power with manufacturing equipment. It depends on the timely acquisition, distribution, and utilisation of information from machines and processes from manufacturing shop floors and across product lifecycles. Effective information sharing can improve production quality, reliability, resource efficiency and the recyclability of end-of-life products. Smart cybernetic manufacturing built on digitalisation aims for better sustainability and contributes to factories of the future.